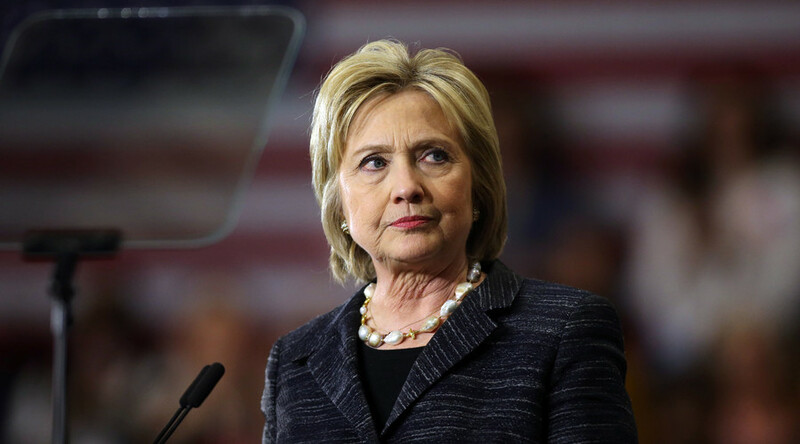 US Democratic candidate Hillary Clinton appeared to overlook the killing of four US citizens during an attack on the US diplomatic mission in Benghazi when insisting Monday that “we did not lose a single person in Libya”. Clinton was US Secretary of State at the time of the Libyan intervention and the attack on the Benghazi site. 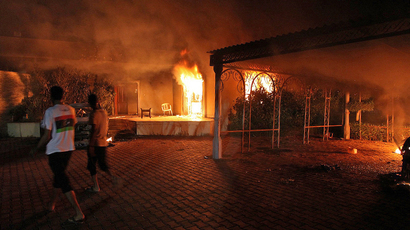 On the night of September 11, 2012, Islamic militants attacked the US diplomatic compound in Benghazi, killing Ambassador J. Christopher Stevens and three other US citizens. It emerged that the compound had inadequate security in place, and staff had raised concerns about the issue prior to the attack. It was the first time since the murder of the then-US Ambassador to Afghanistan in 1979 that a US ambassador was killed in the line of duty. The Benghazi killings sparked an FBI investigation and a Congressional inquiry at which Clinton claimed responsibility for the tragedy. Speaking at a Democratic town hall event Monday, Clinton defended US support for the NATO-led intervention in Libya in March 2011. “Libya was a different kind of calculation and we didn’t lose a single person,” she insisted. @ggreenwald Plus we did lose 4 people at Benghazi, that was in Libya I think. Clinton then proceeded to overlook the hundreds of thousands of Libyan citizens who fled the violence. “Is Libya perfect? It isn’t,” Clinton conceded. “Changing from a dictator who has hollowed out your country to something resembling a functioning state and hopefully even more of a democratic one doesn’t happen overnight,” Clinton said.